Like games? 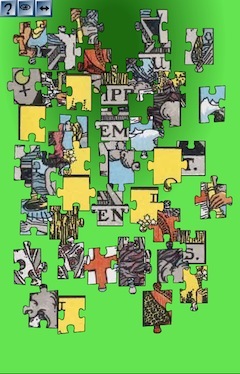 Check out these fun Tarot Jigsaw Puzzles based on the Rider-Waite-Smith deck. Each puzzle consists of two cards back-to-back so you will have to flip some pieces over. This is a great way to examine the card’s symbolism and its placement of elements far more closely than you would have otherwise. Check out the other games including Solitaire with the Rider-Waite Minor Arcana (tough because there are no colors to go by). Thanks for this challenging treat. This was so fun! Thank you for posting this. It was a nice fun break for me.